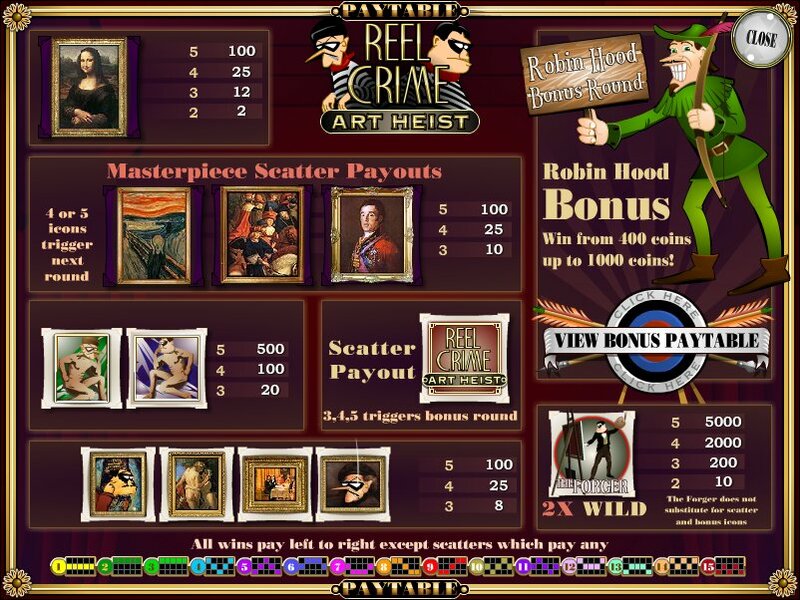 Overview: Reel Crime: Art Heist is a 5 reel, 15 pay line i-Slot game. 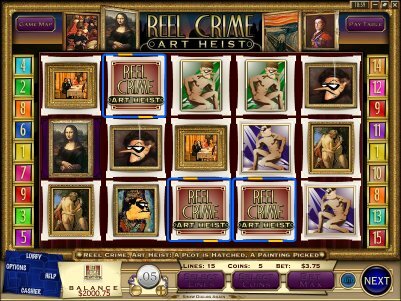 The game is comprised of five thrilling and unique rounds of slot play and a set of challenging bonus rounds. As you progress through the game, you'll be presented with different challenges you'll need to complete. 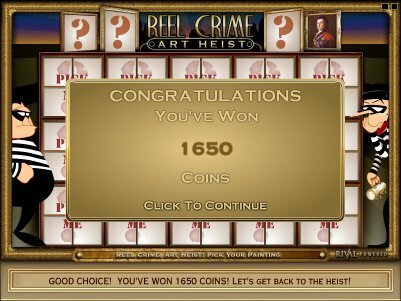 Failure to complete a challenge may result in a failed heist: if this happens you'll need to start the game again from the beginning! 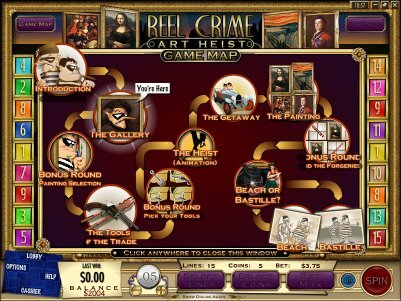 At any time you can view the GAME MAP by clicking on the button located at the top of the screen to track your progress in the game. 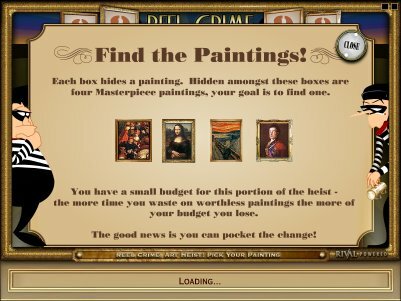 To progress to the next stage of the art heist you must line up at least 4 masterpiece symbols. 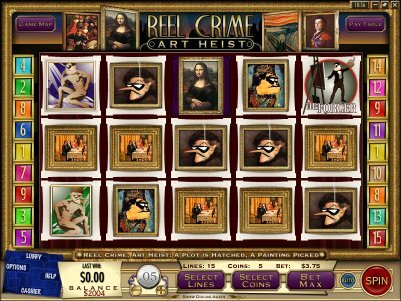 Similar Slots: If you like Reel Crime - Art Heist, you might like these other Rival-powered i-slots: As the Reels Turn 3, Bowled Over, Heavyweight Gold, Rock On, Wild Safari.